I am very happy to see that you are interested in working with me. You think Social Media for your business is a good idea, but you are not into that stuff? I am a qualified ONLINE MARKETING MANAGER, specialised in Social Media Marketing, and I am very happy to help you with you Facebook, Instagram, Twitter or Pinterest account. I can revise your social media account, website or corporate blog and give you advice on how to organise them or take this work off your hands and support your business online. The blog ellawayfarer.com was founded in 2015 and started out as a personal DIY blog written in German and English. 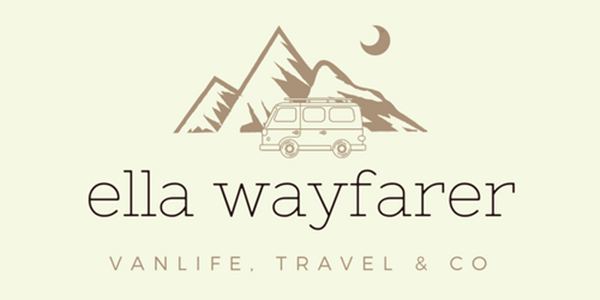 Since 2017 the blog posts concentrate on van life, travel guides and other lifestyle themed issues and are written for an international audience of readers of every gender aged between 18 and 35. Most of the readers are from Germany, Austria, Switzerland, the USA and other English speaking countries. Feel free to ask for a more detailed media kit. BEHIND THE CAMERA: I really like taking photographs when I am travelling or exploring new places. I have not learned this, but it is my passion and you can revise my work on the blog and tell me of you want me to take pictures for you. Please contact me here, I am excited to hear about your project!